How to Fix the Issue of “DownloadHelper not Working”? “Ask for help. My DownloadHelper in my FireFox is not working now, how to fix it? I am Waiting for the solutions! Obviously, there are a lot of such questions about the DownloadHelper fixing problem posed online. And solutions on how to fix the issue of “DownloadHelper not working?” are in urgent need now. Fortunately, there are indeed some useful solutions offered here. Nevertheless, before we get the solutions, we get to know why the issue “DownloadHelper not working” occurred. Part 1. What is DownloadHelper? 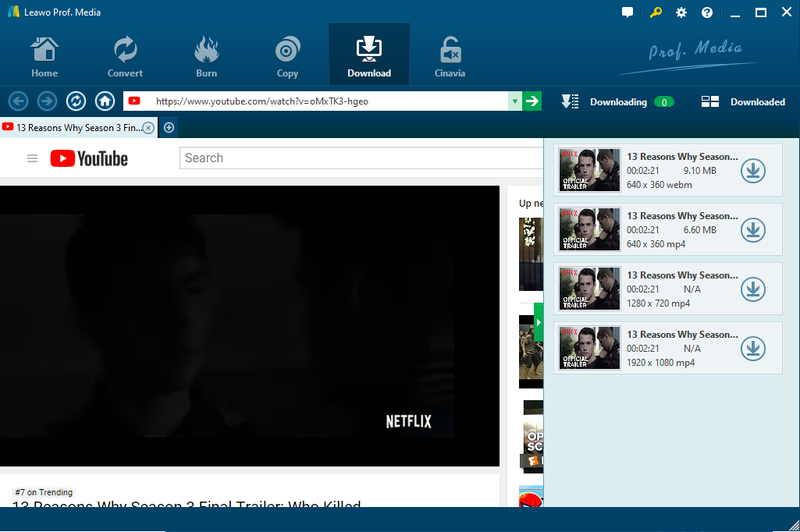 DownloadHelper is a great browser extension plugin to download videos from the Web. After installing it in the browser, you can just click on it to see the available videos and pick the desired one to download efficiently. It has been the second downloaded FireFox add-on since 2007 and also popular in Chrome. However, sometimes it cannot work at all because of Video downloadhelper not working on latest Firefox. And Sometimes some videos are segmented into different sections, the DownloadHelper cannot download the integrated video at all and often just finished with a video segment. Besides, it cannot recognize and download some videos that are protected technically. Under such circumstances, some tips would be necessary for solving the DownloadHelper not working problem. Tip 1.Downloadhelper is unable to download videos without updating to the latest version complied with the browser. You should reinstall the beta version of video Downloadhelper plugin. Then The issue of DownloadHelper Not Working? Fixed Now! Tip 2.Downloadhelper is not working on major videos sharing site? You may change another site for downloading. If still not working, you may try to uninstall this Downloadhelper plugin and reinstall it on the computer. Absolutely, you must clean your history of browser and clear cache and cookies before reinstalling this plugin. Once done install it again it will start working. Tip 3.DownloadHelper cannot download the integrated videos sometimes because some videos are segmented in the sharing sites. DownloadHelper can only download some segments. To get the whole video, you may use other tools to download and merge them into one file. Tip 4.DownloadHelper still cannot working at all after you have checked and tried all the possibilities? You should find other DownloadHelper alternative to fix it, and the third-party software to download the videos you like will be the best way. Leawo Video Downloader enables users to download videos from different video sharing sites including YouTube, Vimeo and Vevo, etc. And most videos on the internet could be downloaded with this top video downloader, such as some high-resolution videos like 720P, 1080P HD Videos. Moreover, equipped with advanced video loading technology, this video downloader works in 6X speed while downloading. In addition, Leawo Video Downloader woks great as the DownloadHelper alternative and the best way to fix “DownloadHelper not working” issue. After installing the Video Downloader, you can solve the problem of DownloadHelper not working and download the videos you need in simple steps. Here I’d like to take download YouTube videos for example. Open the “Download” tab, paste YouTube video URL in the address box to import the videos you like. With the built-in browser, you can play and watch it directly. The video you are watching will be detected and listed at the same time. 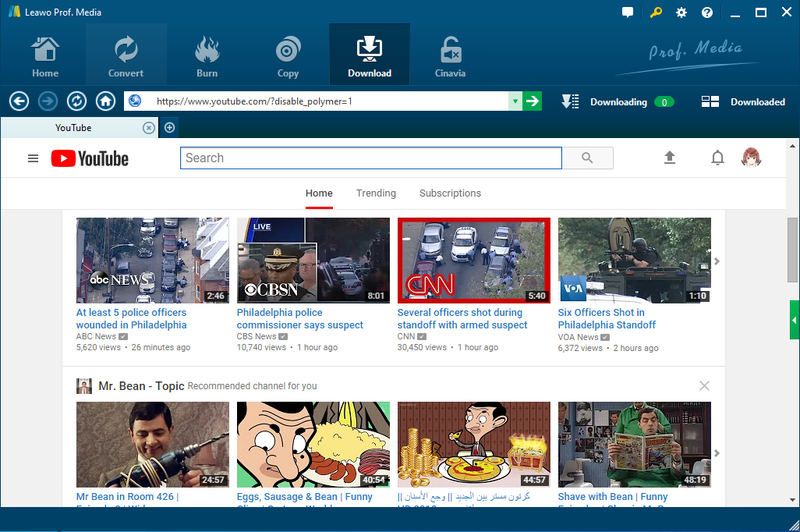 What’s more, you can search other videos here for downloading with the browser. Click the little green arrow on the right side to open the wait-to-select panel, where you can find the list of all target video at different resolutions. Then you can choose the proper one with the resolution you prefer and download YouTube videos by clicking the download icon. While downloading, the Downloader offers the ability to play the videos or pause them any minute you want. And all the downloading videos could be checked under the “Downloading” panel, while downloaded videos will be put to the “Downloaded” tab, where you can watch and manage them directly and freely. Anyway, although there are some reasons that cause “DownloadHelper not working” problem, there are several solutions as well. And the best DownloadHelper alternative recommendation is Leawo Video Downloader, as mentioned above, which has many merits for downloading any videos you want. What’s more, with installing this Video Downloader, I am sure you will never be trapped by the problem of How to fix the issue of “DownloadHelper not working”. You can use it at any time without worrying DownloadHelper not working issue at all since it works individually. It takes little space in your PC, and never mind to use it freely.